Yes, one day. There is truly no “one plan fits all,” and this maxim was confirmed in our work with the El Paso Zoological Society. Zoo Advisors was challenged to come up with an update to the Society’s dated strategic plan, using very limited resources and a fixed date. We developed an abbreviated, yet effective process that would yield a valuable and practical planning tool. The city-operated El Paso Zoo had recently been awarded a $50 million portion of a quality-of-life bond. The Zoo and Society decided to challenge themselves to come up with significant additional funds in order to elevate the investment and create a “margin of excellence” at their facility. Zoo Advisors, who had been working with the team at WDM Architects on the business component of the Zoo’s master plan update, was engaged by the Society to formulate a specific strategic plan update to raise these funds. Always up for a challenge, our team structured a one-day intensive planning session with the Board. In order to make the day more productive, we asked the Board to complete a survey prior to the workshop. This input not only engaged the Board early but also provided insightful feedback that formed the basis for the day’s discussions. A number of emerging issues quickly came to the forefront and after further discussion four key priorities were identified. This tight focus on the most pressing tasks was important given a small staff who had limited time to tackle too many problems. Although in most cases it is beneficial to have multiple sessions to discuss what’s happening and what needs to get done, the one day session, through guided facilitation, produced a clear set of outcomes and just as importantly, Board consensus and engagement. The Society now has a defined direction of the critical areas that need to be worked on over the next several years in order to reach their goals. We continue working with the staff to develop an action plan that will turn this work into annual operating plans with measurements and timelines. On a very short timeframe, Zoo Advisors was able to tailor a process that provided the Zoo Society with the tools that will help them achieve success and realize their vision of being an integral partner with the El Paso Zoo. 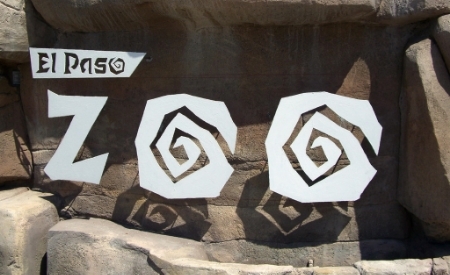 It’s an exciting time for the El Paso Zoo and Zoo Advisors has been pleased to be part of their plans for the future.